Bechtel’s investment in the Tri-Cities dates back more than 40 years to finishing the Columbia Generating Station at Energy Northwest. Since then, we’ve supported the Tri-Cities community and associated Hanford Site cleanup mission. Today, we’re leading the charge to permanently protect the Columbia River and the people living along its shorelines from the nuclear waste stored in 177 aging underground tanks at Hanford by building a vitrification plant. This plant, called the Waste Treatment and Immobilization Plant, is the most complex environmental engineering effort the Department of Energy has ever undertaken. The Hanford tanks hold more than 56 million gallons of waste containing 1,800 different chemicals. We must build a plant that can process nearly all of this complex waste on a scale never before attempted. When operational, it will produce 30 times more waste a day than the world’s largest vitrification plant. We are working with DOE to complete the first phase of the Vit Plant and to be prepared to treat waste by 2022. We are building four nuclear facilities and more than 20 support structures on a 65-acre site at Hanford. Construction of our first vitrification facility - the low-activity waste facility - is to be completed in early 2018. That facility and its necessary support structures are nearly complete. 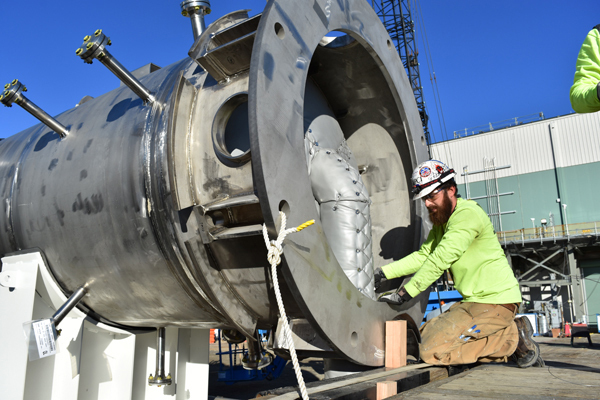 It’s an exciting time as we near construction complete and begin looking to our startup, testing and commissioning phases for low-activity waste. Vit Plant employees met a contractual milestone by completing final assembly of the first of two 300-ton melters (seen above in 2012) at the LAW Facility. 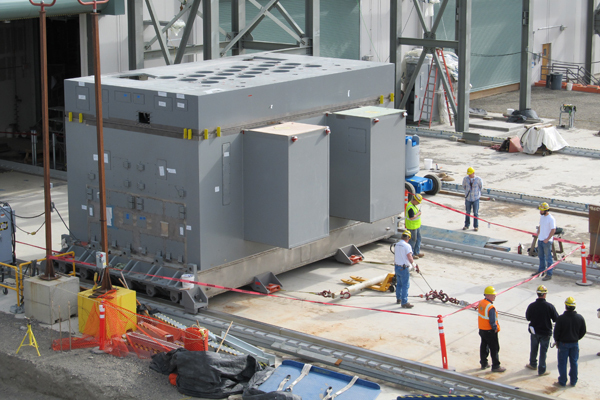 The Department of Energy’s Office of River Protection (ORP) and Bechtel National Inc. (BNI) recently announced employees have safely completed final assembly of the first melter at Hanford’s Waste Treatment and Immobilization Plant (WTP), also known as the Vit Plant. The 300-ton nuclear waste melter is one of two located inside the WTP’s Low-Activity Waste (LAW) Facility. 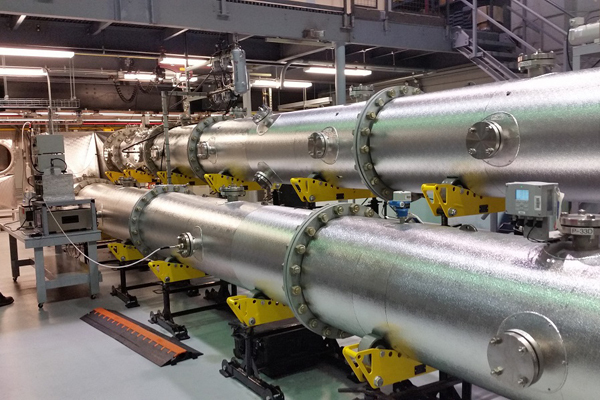 “The melters are the heart of the WTP low-activity waste vitrification process, and completing the assembly marks another step towards completing construction and shifting to commissioning. The melters are large complex pieces of equipment critical to WTP’s success,” said Bill Hamel, WTP Federal Project Director for the ORP. Construction crews are now focused on safely assembling the second LAW melter. For photos and more information about this significant accomplishment, visit http://bit.ly/2sfmNM4. The caustic scrubber was received in 2016 to support the Direct Feed Low-Activity Waste approach. The scrubber was installed in the LAW Facility in March 2017. EDITOR'S NOTE: The following is an edited version of an article that appeared in the May 31, 2017, edition of the Department of Energy Office of Environmental Management's EM Update newsletter. RICHLAND, Wash. – EM’s Office of River Protection (ORP) has given Bechtel National (BNI), the contractor for the Hanford Waste Treatment and Immobilization Plant (WTP), a positive assessment for its performance in 2016, according to a recently released award fee scorecard. ORP rated BNI “very good” for its cost performance and “good” for its project management performance for 2016. As a result, BNI earned 71 percent of the available fee last year, or approximately $7.24 million out of an available $10.2 million. In comparison, BNI earned 66 percent of the available fee for 2015. This marks the Vit Plant's fourth consecutive year receiving an increased performance score. Among the specific award fee objectives for 2016, BNI earned a rating of 97.4 percent for the “One System” objective; 90 percent for technical issue resolution; 85.8 percent for project performance; and 75 percent for environmental/safety/health and Safety Conscious Work Environment. Each year, EM releases information relating to contractor fee payments — earned by completing the work called for in the contracts — to further transparency in its cleanup program. View BNI’s full 2016 award fee scorecard here. First-of-a-kind HEPA filters to be used at the Vit Plant are undergoing testing at Mississippi State University. Hanford Vit Plant subcontractor Porvair Filtration Group Inc. was named Large Business Subcontractor of the Year by Bechtel at its annual Supply Chain Recognition Awards event. Porvair, located in Ashland, Virginia, has been responsible for developing a first-of-a-kind radial flow HEPA filter design capable of meeting the requirements of both ASME AG-1 code and Vit Plant environmental conditions. 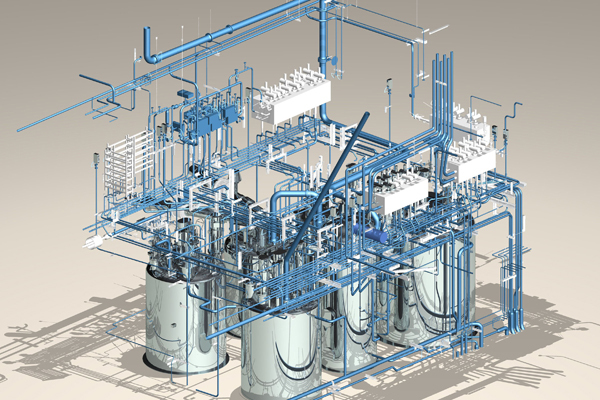 Vit Plant engineers collaborated with Porvair to take the filters from conceptual design through advance prototyping and final design selection. Qualification tests finalizing validation of the design are currently underway. The ASME AG-1 code provides requirements for the performance, design, construction, acceptance testing, and quality assurance of equipment used as components in nuclear safety-related air and gas treatment systems in nuclear facilities. Four suppliers and subcontractors were honored at Bechtel’s annual event for providing superior performance while helping the company deliver mission excellence for its customers. Joe, a facility manager, brings more than 25 years of experience in the nuclear industry and environmental cleanup to the Hanford Vit Plant, including eight years at Hanford and 12 years at the West Valley Demonstration Project, the nation’s first full-cycle vitrification plant. Joe was with West Valley from construction turnover through decommissioning and demolition. He served in a variety of management positions, including project director and high-level waste facility manager. He oversaw safe vitrification of the high-level waste and disposal of 20,000 drums of radioactive waste. Joe now applies his experience to the Vit Plant that is being constructed at Hanford. At the Hanford Vit Plant, Joe is the facility manager for the two major nuclear facilities and group of support buildings that will be used to process low-activity waste. 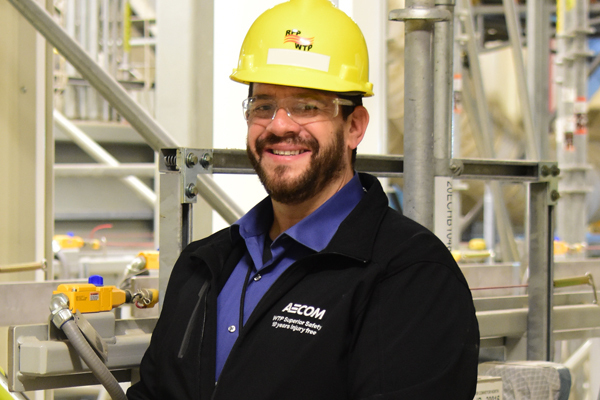 In this role, he concentrates on plant commissioning by preparing for operability reviews and ensuring proper training is in place for those who will run the facilities. Vit Plant employees raised more than $57,000 and 755 pounds of food for local families in need during the 2017 Feeding Families Food Drive. 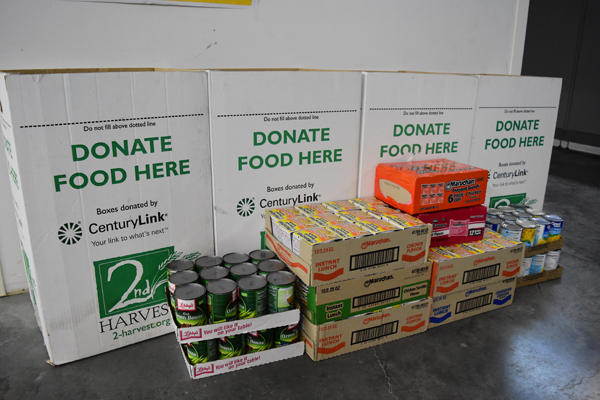 All donations raised during the food drive support Second Harvest. Volunteers from the Vit Plant also helped sort the equivalent of 5,350 meals during a Sort Night event at the Second Harvest distribution center in Pasco. Bechtel joined the Friends of Badger Mountain (FOBM) and community leaders and advocates to celebrate the opening of the Candy Mountain Trail on June 2. In 2015, Bechtel National Inc. donated $100,000 to FOBM to help create a preserve on Candy Mountain in Richland. 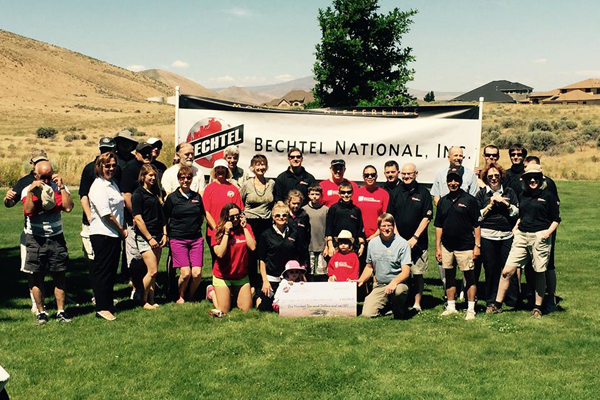 Bechtel has supported quality of life in the Tri-Cities for nearly 20 years. 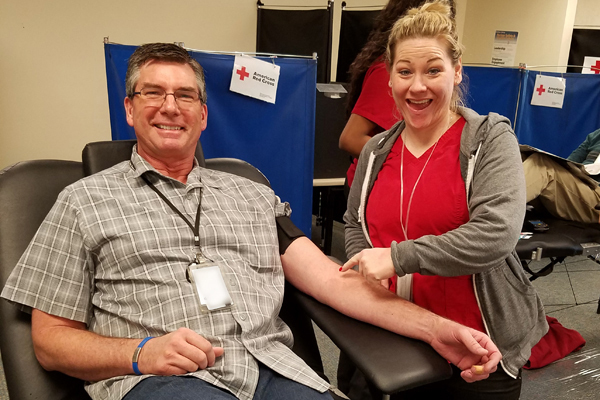 Hanford Vit Plant employees recently donated more than 50 pints of blood during an American Red Cross blood drive held at the project. The Vit Plant has been holding blood drives since 2004, and employees donated 235 pints of blood during five drives in 2016. According to the American Red Cross, one pint of blood can save up to three lives. 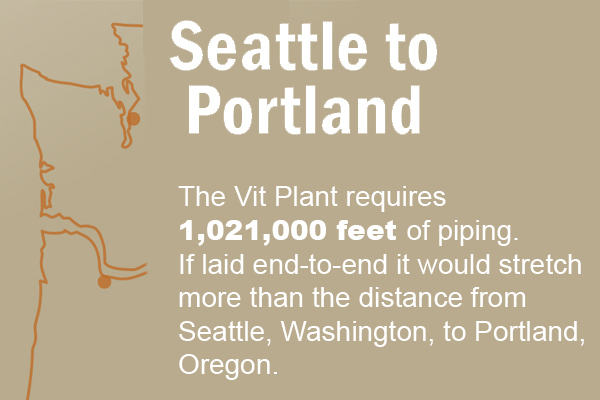 The Vit Plant requires 1,021,000 feet of piping. If laid end-to-end it would stretch more than the distance from Seattle, Washington, to Portland, Oregon. There are 18 vessels in the Low-Activity Waste Facility. A team of Vit Plant and Department of Energy employees recently inspected and reviewed each vessel to ensure the weld quality met the requirements for nuclear operations. The team conducted a total of 1,512 inspections. Hanford’s liquid radioactive waste will be safely mixed in the vessels before it is vitrified. 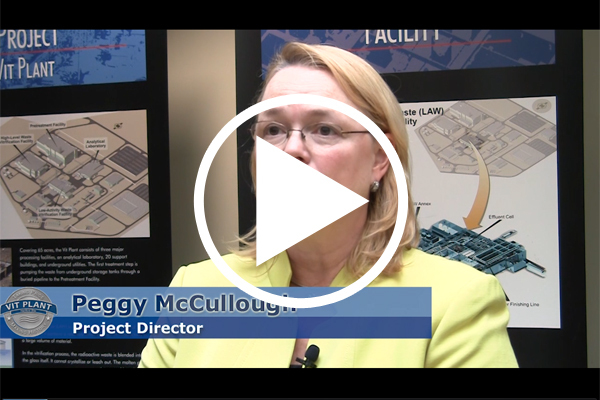 Watch as Peggy McCullough talks about meeting the significant milestone of installing the first 300-ton melter in the LAW Facility. McCullough is Bechtel's Project Director at the Vit Plant. Copyright © June 2017 Bechtel National, Inc., All rights reserved.